Micromax recently unveiled two smartphones under its Evok range of smartphones, Evok Note and Evok Power. In the coming days, the company will be adding one more smartphone, namely, the Micromax Evok Dual Note to the same lineup. As the name itself suggests, the Evok Dual Note will feature a dual camera setup at the back. 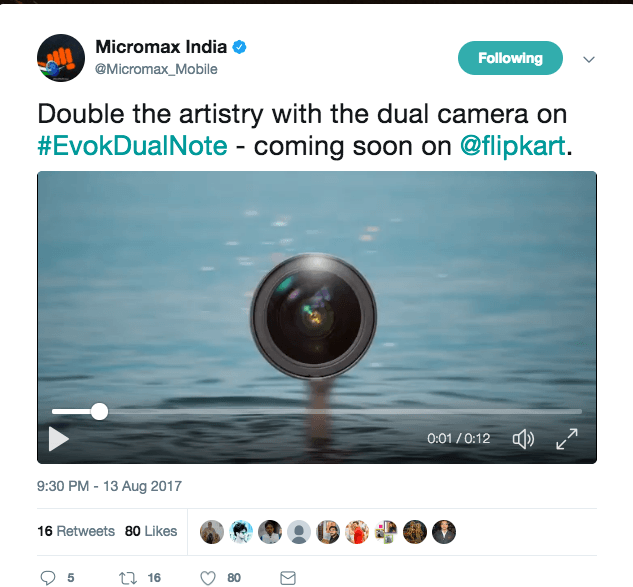 The company has posted a teaser of the smartphone on Twitter saying as “Double the artistry with the dual camera on #EvokDualNote – coming soon on @flipkart.” As the teaser itself says, the device will be exclusive to e-commerce site Flipkart. Also, the teaser reveals that the background of the image is blurred heavily, meaning the device may feature a dedicated Portrait mode for capturing the shallow depth of field in the images. However, Micromax did not reveal the design and camera setup of the Evok Dual Note. 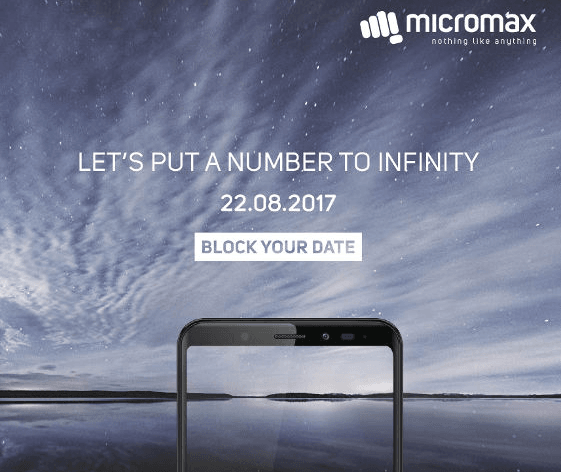 Recently, Micromax sent out media invites for an event on August 22, where the company will be unveiling its first Infinity display smartphone. And yes, the smartphone could be the Micromax Evok Dual Note. So, a proper smartphone with all the 2017 features. The Evok Dual Note will feature an edge-to-edge thin bezel display, Qualcomm Snapdragon processor, dual camera, and latest Android OS. The Evok Dual Note is said to feature a 5.7-inch 18:9 Full HD display with a layer of protection on top. The device will house a Qualcomm Snapdragon processor, which is said to be an entry-level one. Possibly the brand could go with the Snapdragon 625 SoC, paired with 4GB of RAM. The smartphone is likely to run the latest Android 7.0 Nougat OS, like every smartphone releasing these days. For the unaware, the Micromax Evok Note and Evok power are both exclusive to Flipkart. However, they are powered by MediaTek chips. Micromax’s first dual camera smartphone, the Micromax Dual 5 was a mishit due to the steep pricing of Rs. 24,999. We’re hoping that Micromax won’t repeat this mistake, and price the Evok Note Dual sensibly.